Hongqiao Linkong Economic Zone is located in the west of Changning district of Shanghai. Adjacent to the world's biggest transportation hub Hongqiao, the zone has a total area of 5.14 square kilometers. The good position, top-notch services and strong support for innovation has attracted headquarters of many famous companies to settle here, making Linkong a new tag in Hongqiao and Changning. Shanghai Hongqiao Linkong Economic Zone is a functional area for Changning district to echo Shanghai's strategy of building an international trade center. 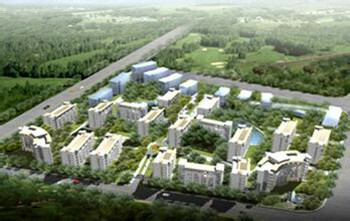 The zone adheres to the goal of making a garden-style, high-tech community with vitality and harmony. After 20 years' development, the economic zone has been an industrial agglomeration of modern service, aviation service and modern logistics, as well as the Chinese base of some renowned companies, like Unilever, Bosch and Eaton. It is also home of Ericsson, Staples, Ctrip, FedEx, Yangtze River Express and other famous companies in information services and aviation logistics. Hongqiao Linkong Economic Zone brings a group of good incubators together to boost China's domestic policy of mass entrepreneurship and innovation, to complete the service system of scientific and technological innovation, and to accomplish Changning's goal of building an entrepreneurial district.